Why is there a limit of only 1 Super Sampler per person? What if I want to order more than 1? By purchasing this taste sampler one time, each prospective customer will be able to sample and decide which flavor of the full size product they’d like to buy. The sampler is designed for trial, not for ongoing consumption of Shakeology. 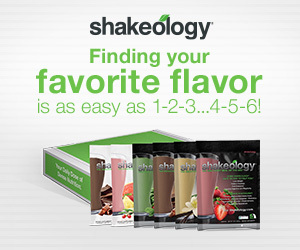 to help you get the best results of you Super Shakeology Sample Pack!! !